The Delta Linden collection has a natural inspired presence. This organic piece of bath hardware offers flowing features with a refined feel. Delta makes installation a breeze for the weekend DIYer by including all mounting hardware and easy-to-understand installation instructions. You can install with confidence, knowing that Delta backs its bath hardware with a Lifetime Limited Warranty. From large, open master baths to minimalist powder rooms. Align faucets and accessories bring a refreshed modern look to your home with simple lines and contemporary style. A complete line of coordinating faucets and accessories is available to complete the look of your bath. Single hook design offers everyday convenience, keeping robes and other clothing items off the floor and right where you need them. 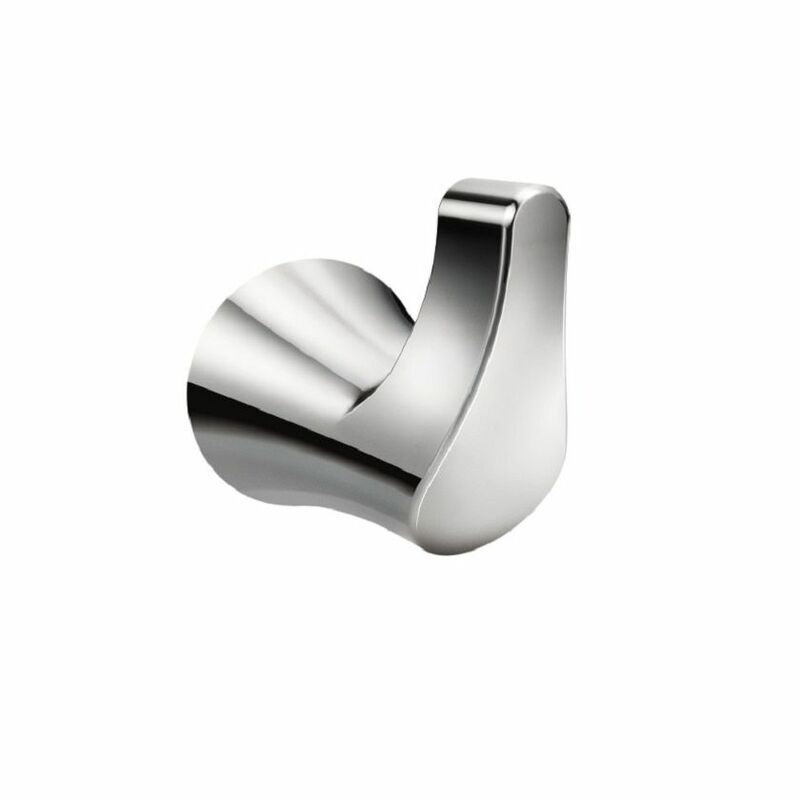 Danika Robe Hook Chrome Update your bath with the Danika collection. Each piece features clean contemporary lines with a soft edge for a sophisticated look.